• Sketches and illustrations that were not part of the original book. 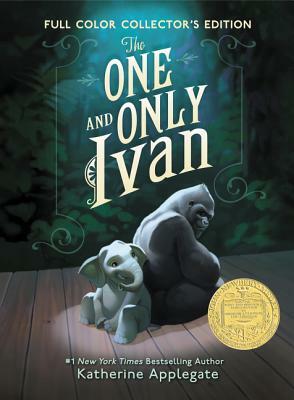 Inspired by the true story of a captive silverback gorilla known as Ivan, this stirring and unforgettable novel celebrates the transformative power of unexpected friendships. Hailed as a best book of the year by Kirkus, School Library Journal, and Amazon, Katherine Applegate's novel blends humor and poignancy to create this incredible tale of friendship, art, and hope told from Ivan's own point of view, in the tradition of timeless classics such as Charlotte's Web and Stuart Little.